In March local governments and community members were invited to join the webinar ‘Strengthen Resilience’ to explore the key characteristics of resilient communities and opportunities and strategies to strengthen resilience at the local level. Two webinar sessions were hosted as part of the ‘Building Resilient Neighbourhoods Project’ in collaboration with the Canadian Centre for Community Renewal, Community Social Planning Council of Greater Victoria, Transition Victoria and Smart Planning for Communities, Fraser Basin Council. The webinar resources and recording are now available online here. To learn more about the Resilient Neighbourhoods project please visit the website here or contact Stacy Barter at stacy@bchealthycommunities.ca. Over the past 3 years, BCHC has worked closely with S.U.C.C.E.S.S. and several other partners (Big Brothers, Big Sisters Fraser Valley, Abbotsford Community Schools Society, Abbotsford School District and WJ Mout Secondary School) to support welcoming and inclusive communities in Abbotsford. This work has had a particular emphasis on capacity building and leadership development for immigrant and newcomer youth (INY) and has helped us identify key “tipping points” for immigrant and newcomer youth integration in Abbotsford. 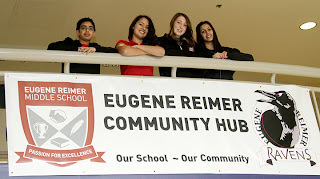 Grand Opening of Reimer School HUB. 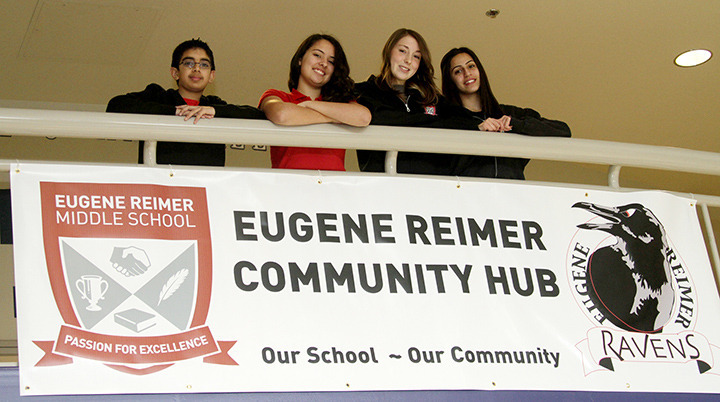 Reimer principal, Reg Gabriel, emphasized the importance of bringing its neighbours inside the doors of the school, even while classes are ongoing. The project also supported the development and implementation of a Teen Advisory Group (TAG) that works on proactive, youth engagement activities in partnership with the Fraser Valley Regional Library. Some of the activities undertaken included a multicultural tea party and a holiday event night, called ‘Spooktacular Halloween Party’ hosted in partnership with the Clearbrook Library; and a Youth and Community Scrabble Tournament hosted at The Old Spaghetti Factory. TAG has contributed significantly to youth achievements in Abbotsford and will remain active in the community. As a way to encourage and provide youth business opportunities a multicultural business group was established that serves youth (ages 19-30) through a local chapter of the Junior Chamber International (JCI). The group focuses on training, local community contribution business networking, fellowship, and local, provincial national and international experience. Overall the true legacy of this project will continue to be seen for years to come, as relationships deepen and champions continue to develop. BCHC was recently invited to talk with local government leaders at the Local Government Leadership Academy 2013 Leadership Forum in Richmond. The theme of the event was “Leading through Relationships” and BCHC was invited to facilitate two sessions on how to lead through relations with youth and seniors. Since building strong relationships with local governments, community members and other stakeholders is at the heart of all of our work it was inspiring to hear about the work local government leaders are doing with young people and seniors in their communities. We heard about youth-driven skateparks, super successful lunch clubs for seniors and other activities that engaged and involved both younger and older people. It was great to learn about the work going on throughout the province and the many benefits that had resulted from including young people and seniors in project development and delivery. One of the key benefits highlighted was the expertise and energy that community members provided thus ensuring that projects were tailored to the target demographic. We also really enjoyed the opportunity to share some of our work with the City of Victoria Youth Council, the Trust US project and Age-Friendly Communities. All of these projects involve working closely with local government and other partners to provide engaging community projects that make a difference to people’s lives. For example, the Trust US project has been developing a guide to planning community gardens that are accessible and inclusive to everyone no matter what their age. By seniors and youth working together the Trust US project hopes to benefit the whole community. Showcasing the fantastic work and achievements of this dedicated group of people at the Local Government Leadership Academy was an honour. BCHC would like to thank the Local Government Leadership Academy for inviting us to this event and thank all the attendees for sharing their knowledge and experience. We understand that working closely with community members takes time and dedication but the feedback from local governments suggested that it can bring tremendous benefits to all parties. We are always looking for new and exciting ways to work with communities, if you would like to highlight the work you are doing with local communities or are interested in working with us then please get in touch bchc@bchealthycommunities.ca. 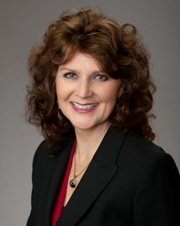 Cheryl is a Councillor for Maple Ridge, a community of approximately 76,000 that is situated on the shores of the Fraser River, 45 kilometers east of Vancouver. Cheryl has worked, lived and raised a family in Maple Ridge since 1995 and has been a Maple Ridge Councillor for the last 5 years. When she’s not working hard as a Councillor, Cheryl enjoys taking political science courses with the goal of achieving a degree, volunteering in the community, hiking and walking the dikes and spending time with family and friends. Report “Promote, Protect, Prevent: Our Health Begins Here”. 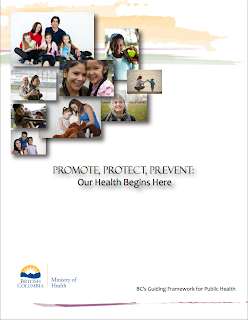 The Ministry of Health recently published this new guiding document for the public health system. The Guiding Framework unifies resources and strategies that are in place to support public health and address key public health challenges. 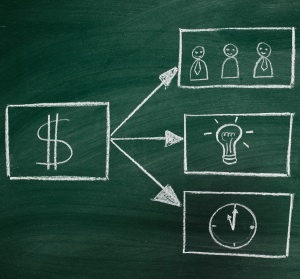 It defines a collaborative process to identify and set new priorities, make strategic investments and increase focus in areas that contribute to a strong, effective public health system. 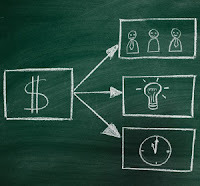 Furthermore, the Guiding Framework reinforces the importance of effective partnerships and strategic connections within the health system (particularly with the primary and community care sectors) and with external partners to support the broader population health approach. Implementation of the Guiding Framework will be done in collaboration with key partners, reinforcing continuous quality improvement and ensuring effective and efficient resource use to support the overall health and well-being of British Columbians and a sustainable public health system well into the future .